A-One Auto Center is a leading Diesel Repair and Body Shop located in the heart of the South Bay - Gardena, California. 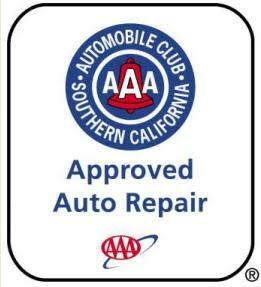 We are very proud to announce our inclusion of the AAA Approved Auto Repair Program. You can now find use as a provider for your auto insurance!!! Please browse around the site and check out the wide range of services we have to offer - no job is too big or small. We are confident you will be more than satisfied with our friendly service, level of expertise, and more importantly the quality of our work. We understand the importance of getting the job done right the first time and strive for excellence in every job we do. But, don't take our word for it - check out our 5-star reviews on Yelp and Google! Why take your car to just any repair shop? In this industry, you often get what you pay for. And, unless you're car-savvy yourself, you don't always know what the mechanic is doing. The auto repair industry has gotten a bad rep over the years due to all the unscrupulous repair shops out there. We're here to change that perception. With us, you don't have to worry about being charged for any unnecessary repairs or being told to repair something that doesn't need fixing. Los Angeles residents have come to trust A-One Auto Center for all their auto repair needs because of our reliability, honesty and expertise. We are more than diesel specialists - we service all types of vehicles (foreign and domestic).